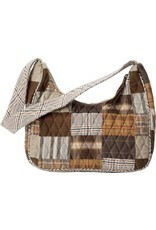 Go for a "rust-chic" country look with the Rory Blakely Handbag. 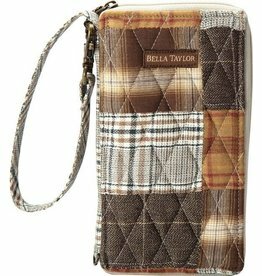 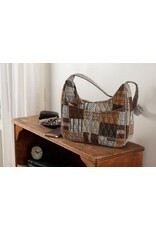 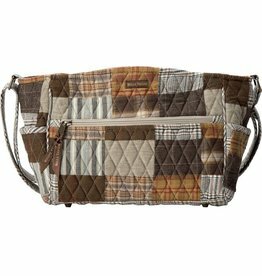 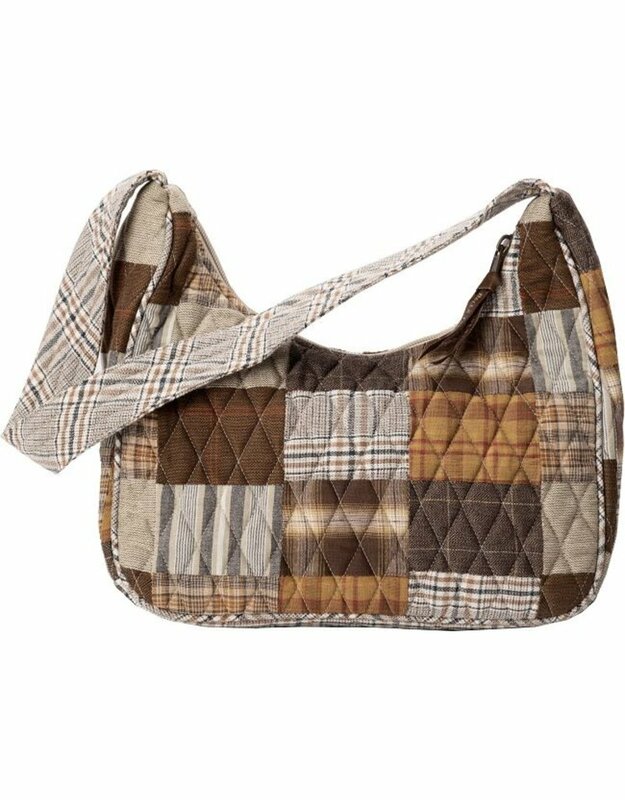 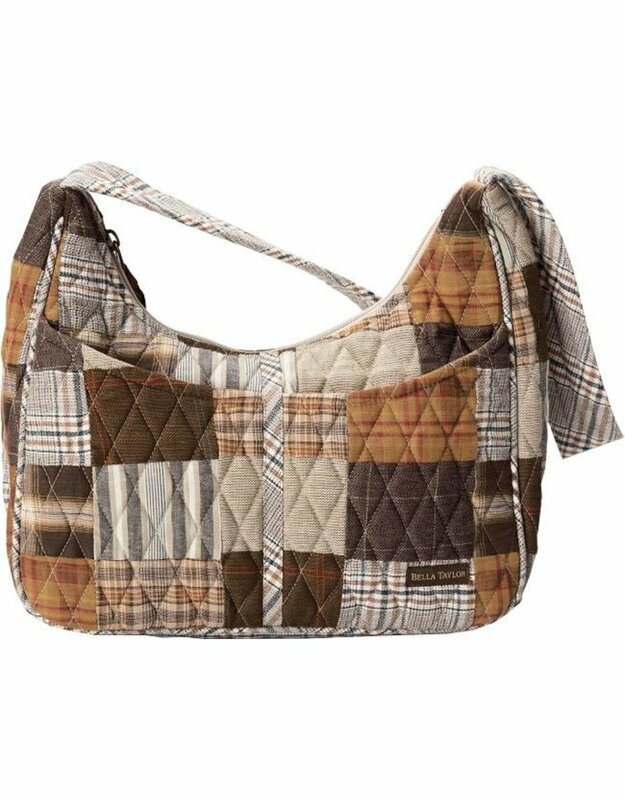 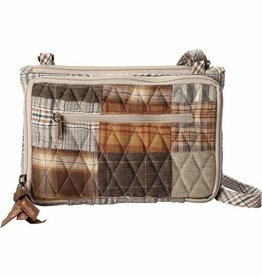 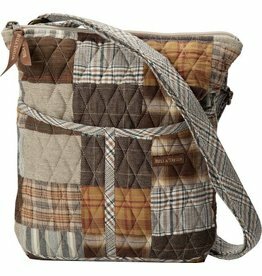 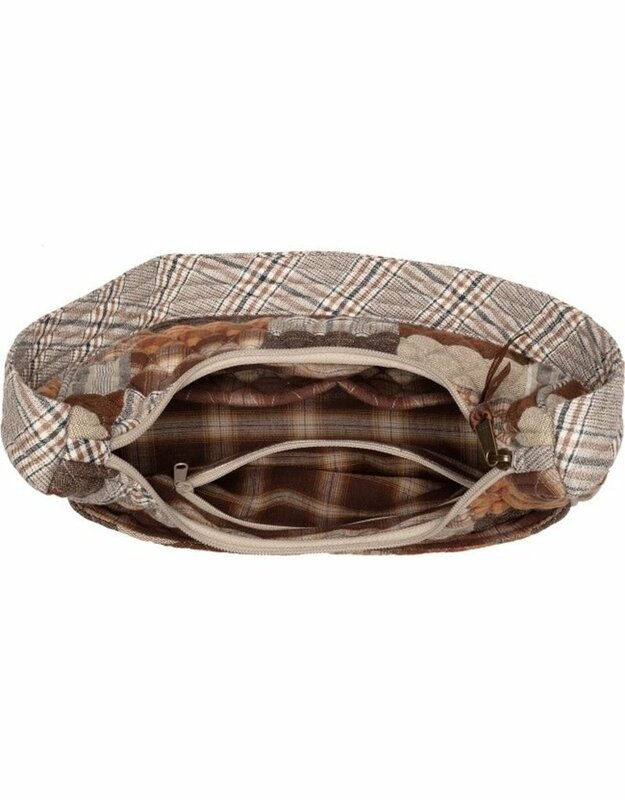 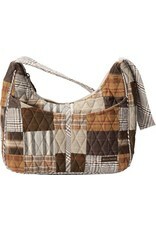 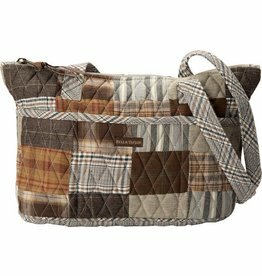 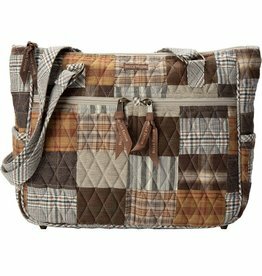 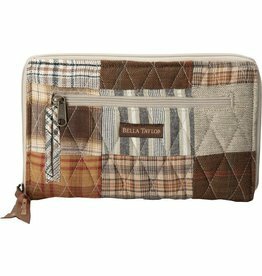 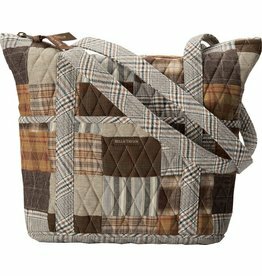 Show off unique patchwork featuring of rustic plaid and stripe colors and pair it with your everyday versatile fashion choice. 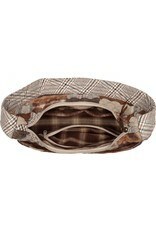 Outer edges are trimmed with matching colors and the base includes a plastic insert for extra support.